Mitsubishi Lancer gets longer lifeline in Canada than U.S. The Mitsubishi Lancer will live a little longer in Canada than in the United States due, in part, to historically stronger sales north of the border. Mitsubishi Canada told Automotive News Canada the compact sedan will be available until at least the first quarter of 2018 while sales in the United States will cease in August 2017. Combined Canadian and U.S. sales of the car fell 11.9 per cent in 2016 when compared with 2015. The decline had everything to do with the United States and nothing to do with Canada, where sales actually increased by 567 units to 6,575 sold in 2016. To meet that demand and try and gain a piece of the SUV and crossover markets, Mitsubishi will replace the Lancer with the Eclipse crossover, as well as a plug-in hybrid version of the Mitsubishi Outlander. “So, in essence, with RVR and Outlander already in place, we’re doubling our strength in that growing sector while giving Canadians more of what they want,” Arnone said. Mitsubishi Motors North America had another reason to end U.S. production and sales. Neither Rasch or Arnone could specify what those regulatory differences are. Before Lancer production ends in August in the United States, the automaker is giving the car one last limited-edition model. The trim level includes a black finish for the wheels, roof, upper front grille and door mirrors. Inside, there is black fabric with red stitching on the steering wheel, shift knob and brake lever. 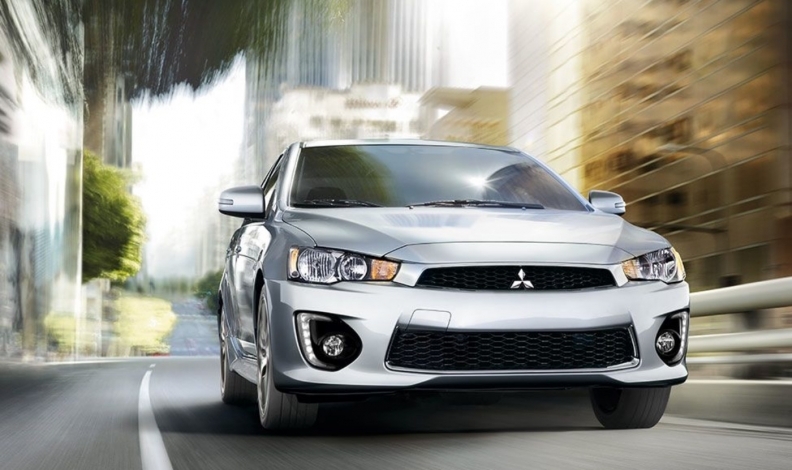 The Lancer Limited Edition is set to arrive at U.S. dealerships in late May. “We’re planning to give Lancer a uniquely Canadian sendoff but not until later this year,” Arnone said.